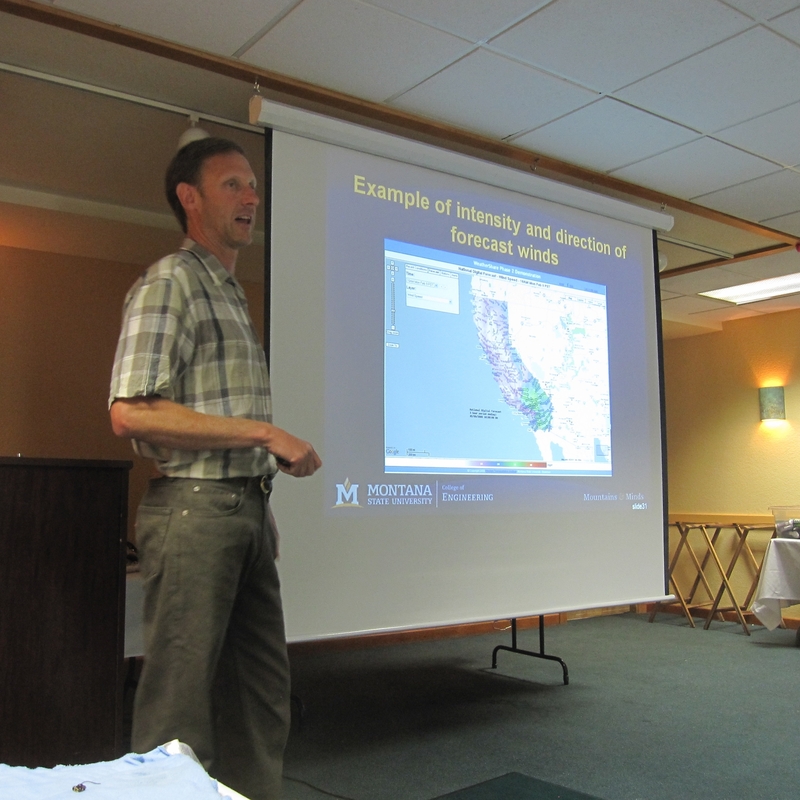 Forum Steering Committee member, Ian Turnbull (Caltrans District 2), introduces the first speaker. 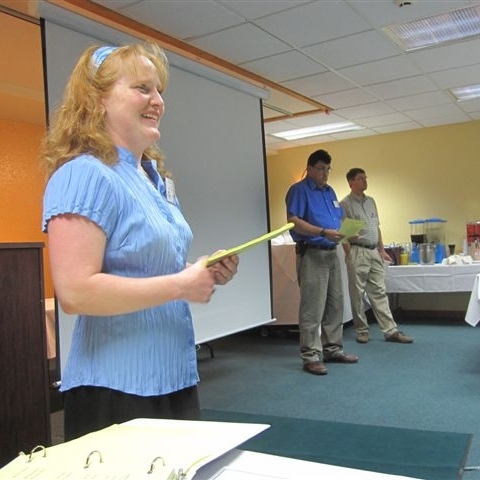 Forum Steering Committee member, Leann Koon (WTI) explains logistics for the two days of the Forum. 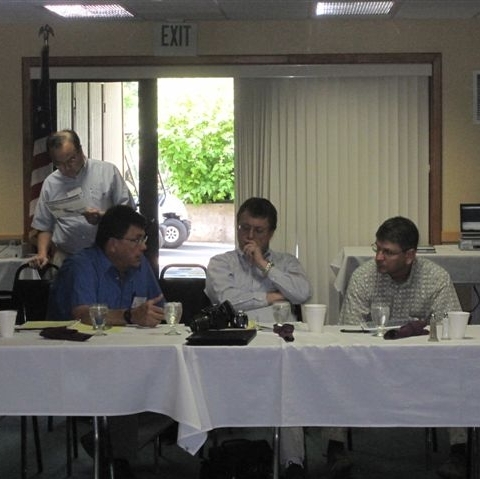 Steering Committee members (l to r) Ian Turnbull, Caltrans District 2, Doug Galarus, WTI, and Sean Campbell, Caltrans DRI, discuss the 2009 Forum and exchange ideas for the 2010 Forum. 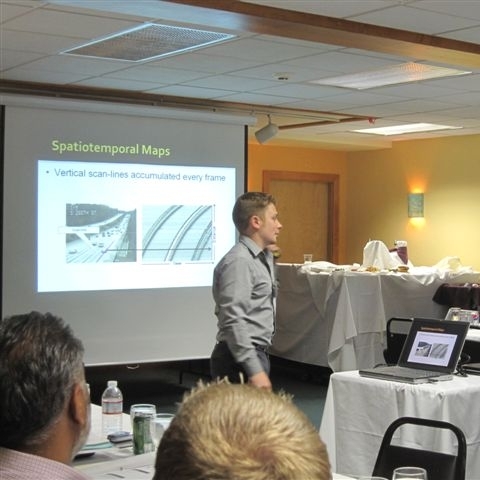 Jeremiah Pearce, Caltrans District 2, discusses ground system design and its role in ITS applications. 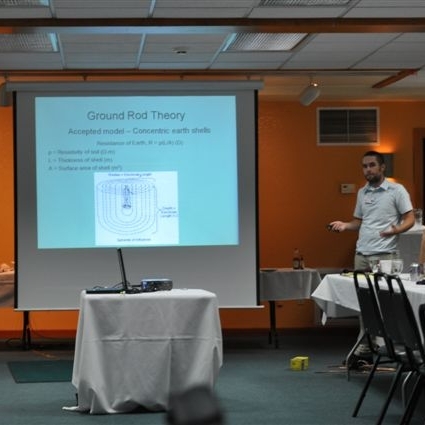 Jeremiah Pearce (Caltrans District 2) discusses ground system design and its role in ITS. 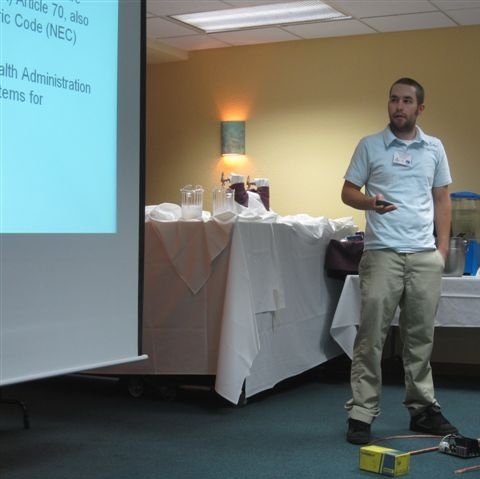 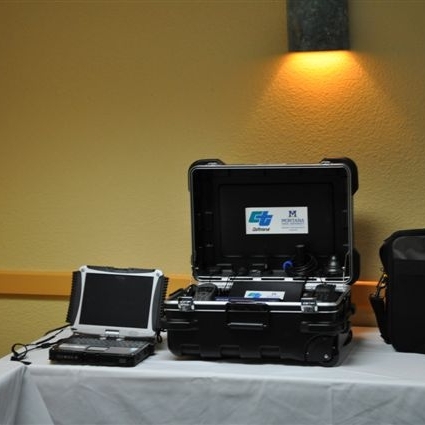 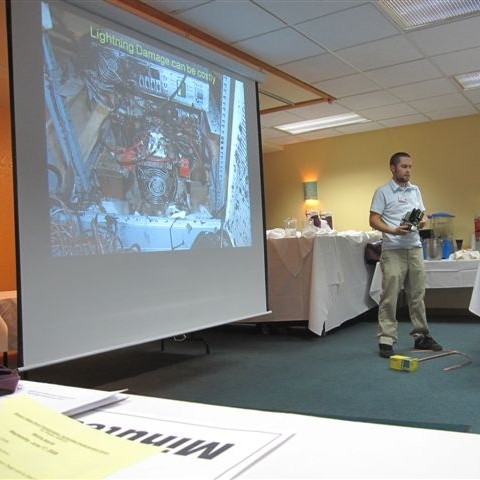 Jeremiah Pearce (Caltrans District 2) shows examples of various aspects of his experiences with grounding systems. 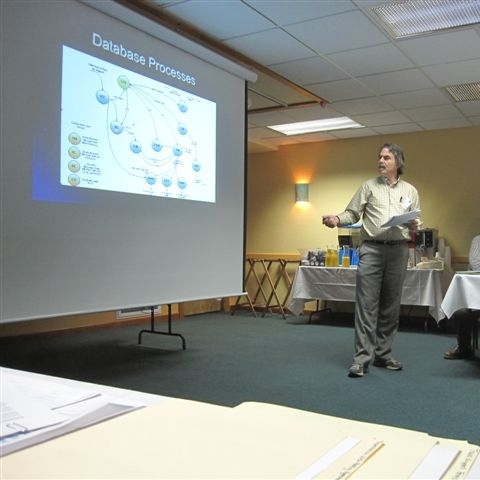 Paul Andersen points out important data during his presentation about creating an Ethernet/IP backbone for Wyoming’s DOT. 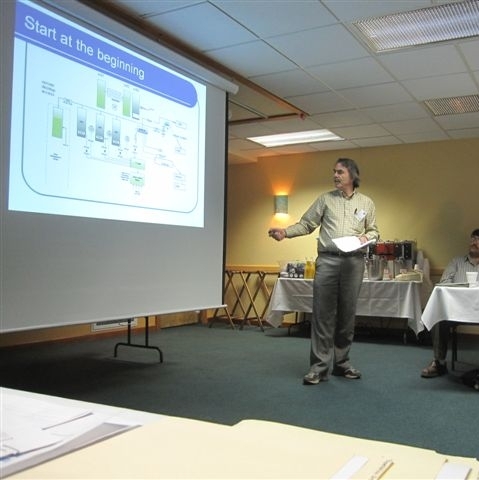 Paul Andersen, Wyoming DOT, animatedly talks about the creation of an Ethernet/IP backbone for WyDOT. 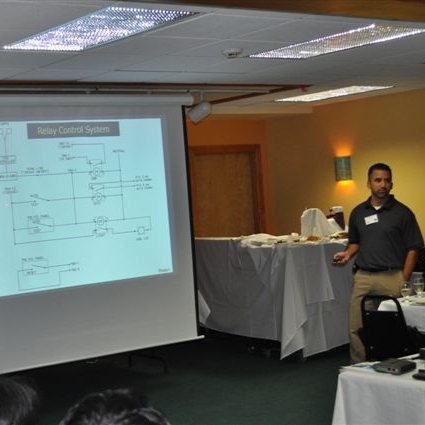 Paul Andersen, WyDOT, answers questions from the audience about the Ethernet/IP backbone system he is implementing. 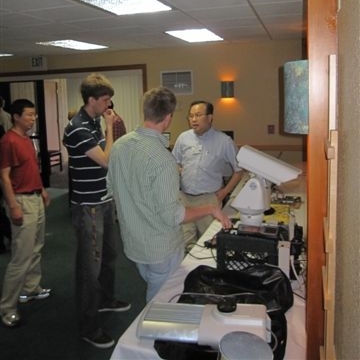 Yinhai Wang (l), University of Washington STAR Lab, listens as Ted Bailey from the Washington State Department of Transportation explains the project partnership between the two organizations. 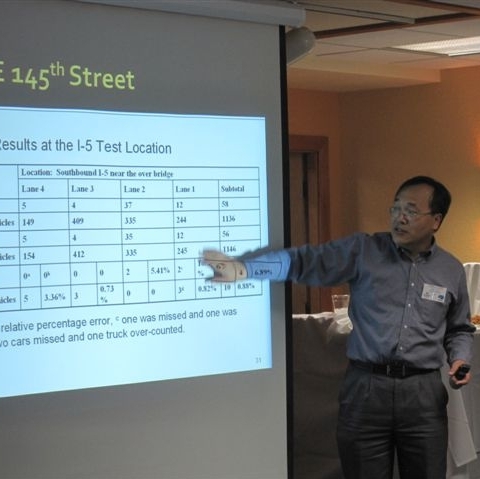 Yinhai Wang from the University of Washington compares traffic data collected from surveillance video cameras. 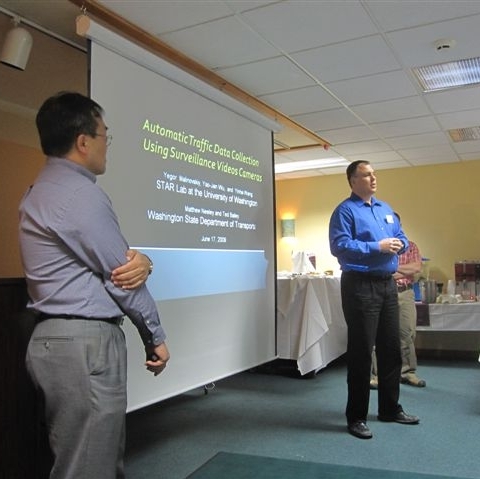 Yinhai Wang of the University of Washington’s STAR Lab answers questions from the audience about collecting traffic data using surveillance video cameras. 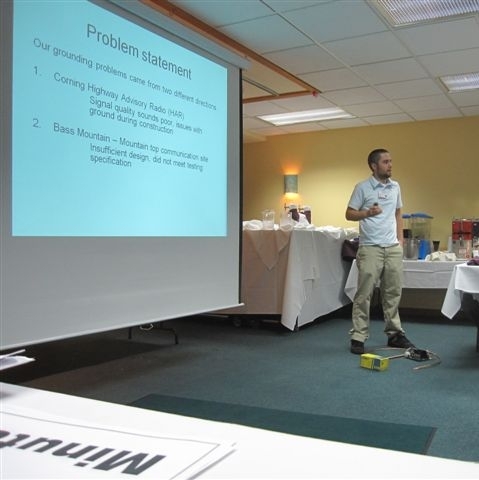 Yegor Malinovskiy, student researcher at the University of Washington, explains surveillance camera image processing for collecting traffic data. 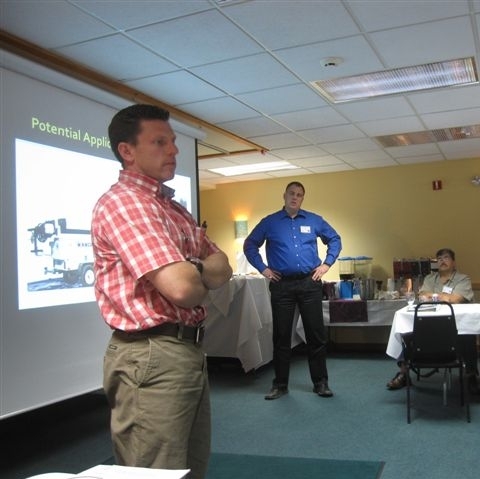 Matt Neeley (l) and Ted Bailey (r) (WSDOT) discuss with the audience potential applications of traffic data collection using surveillance video cameras. 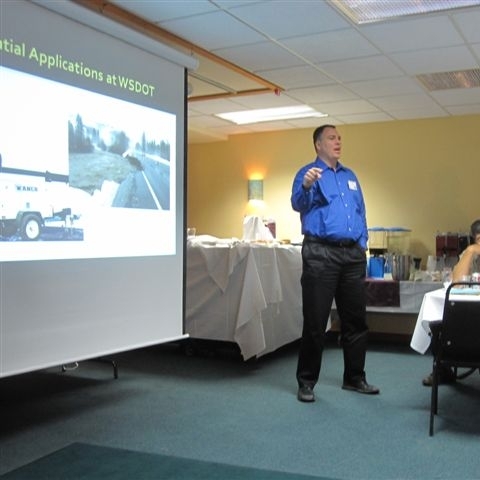 Ted Bailey, WSDOT, answers questions from the Forum participants about potential applications for automatic traffic data collection using surveillance video cameras. 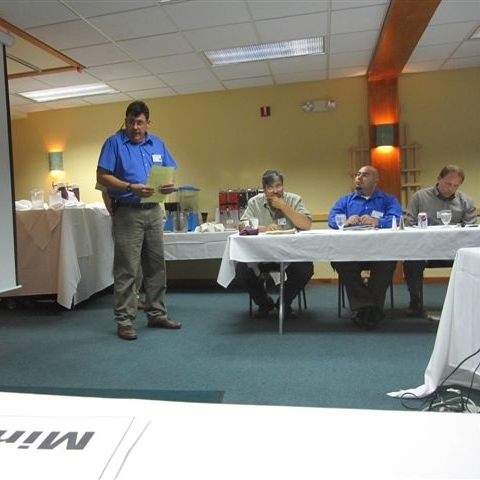 Jose de Alba from Caltrans District 6 explains the run-away truck escape ramp system his team developed and implemented. 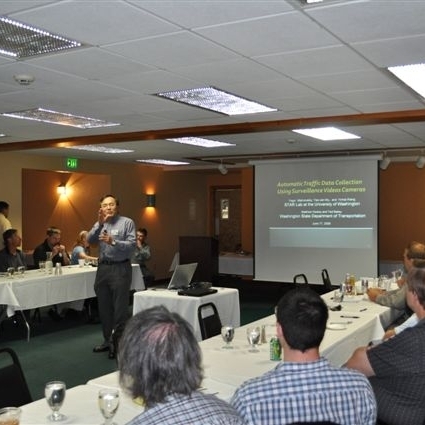 Jose de Alba (Caltrans District 6) shares his experiences in deploying a run-away truck escape ramp. 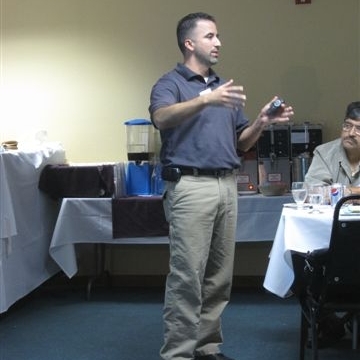 Jose de Alba from Caltrans District 6 describes the development, deployment, and operation of their automated Run Away Truck Escape Ramp system. 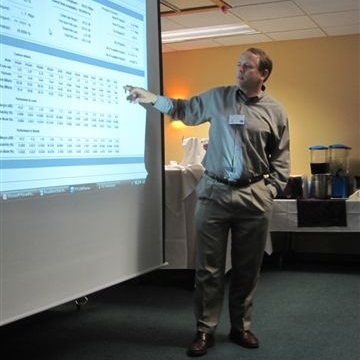 Mark Blackshaw, Idaho Transportation Department, demonstrates their Traffic Management System. 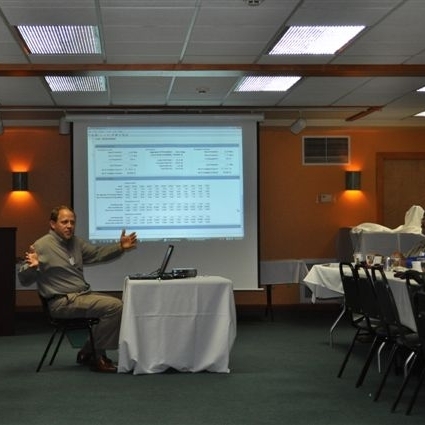 Mark Blackshaw, Idaho Transportation Department, answers questions and exchanges dialogue with Forum participants during his demonstration of Idaho’s Traffic Management System. 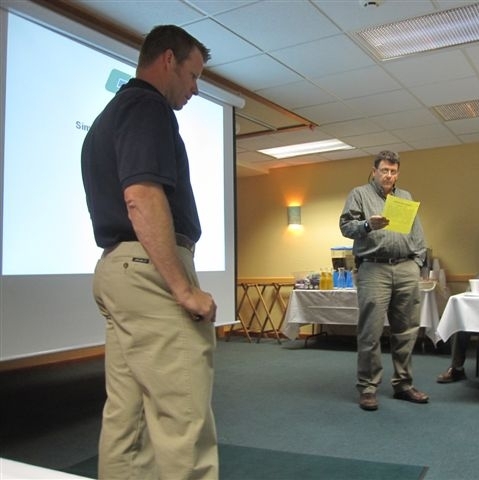 Dean Campbell (l), Caltrans District 3, is introduced by Ian Turnbull (r), Caltrans District 2, before his live demonstration of simple network contact closure. 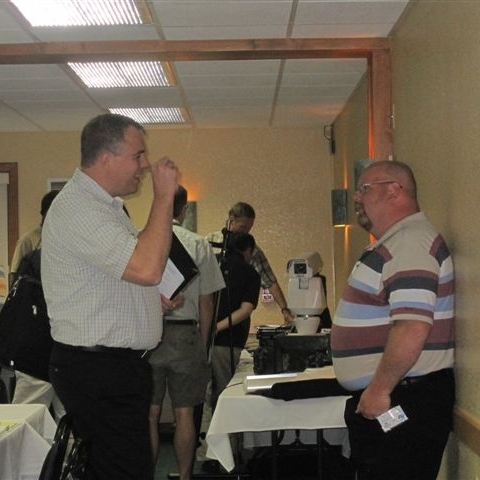 Ted Bailey (l) of WSDOT and Jon Dickinson (r), Nevada DOT, exchanged ideas during a break/networking session. 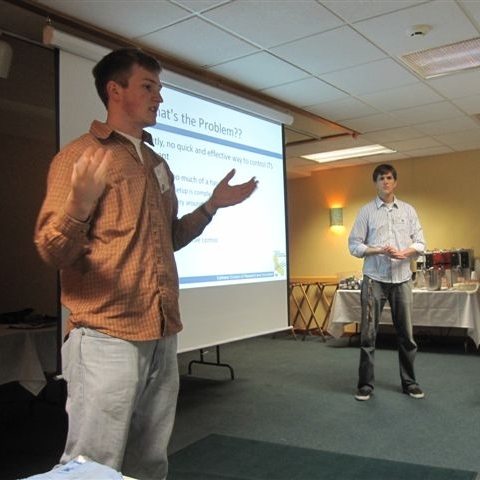 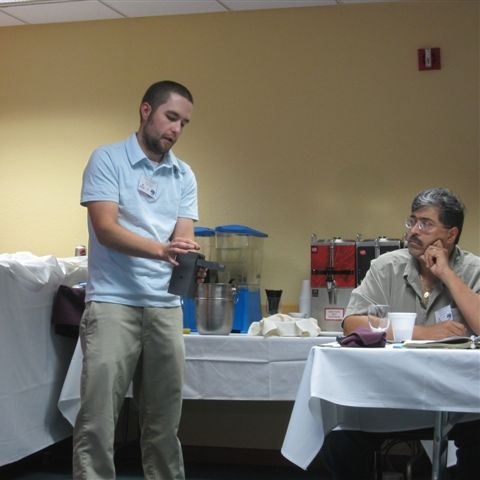 Ryan Huffman (l) and Michael Edwards (r), student researchers at Caltrans Division of Research & Innovation explain the process of developing a hand-held diagnostics terminal. 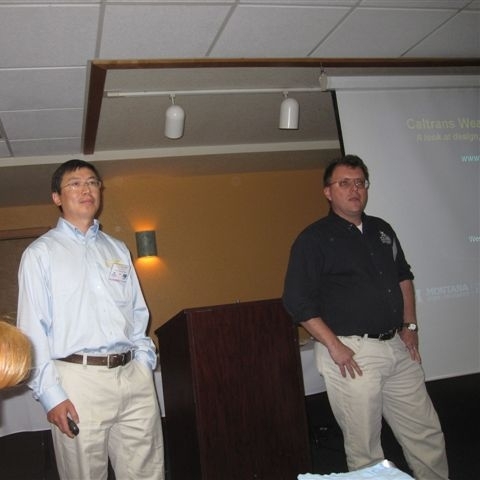 Doug Galarus and Shaowei Wang from WTI. 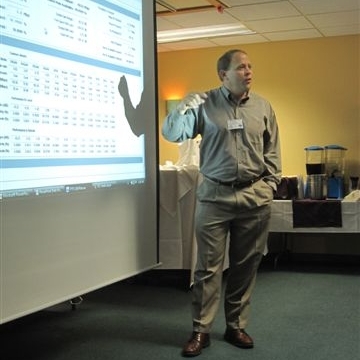 Dan Richter of WTI presents technical demonstration of the Caltrans WeatherShare System. 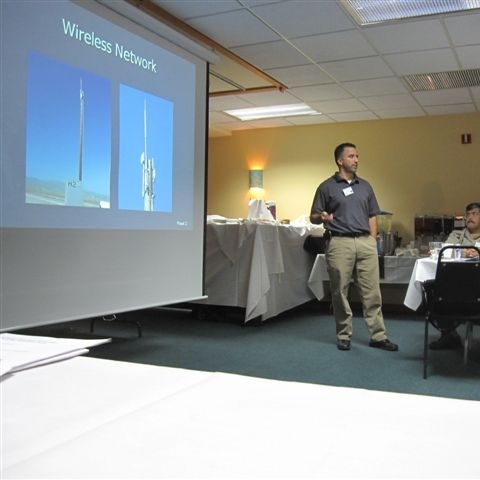 Session breaks allowed participants to network and engage in technical discussions with presenters. 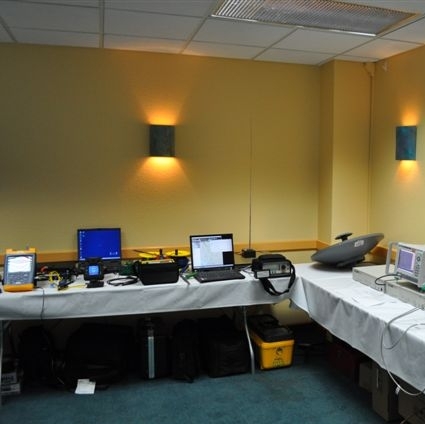 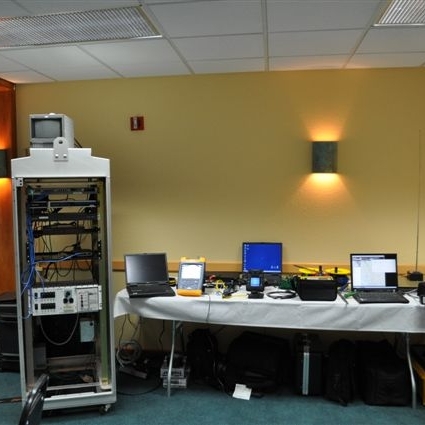 Equipment displays in the back of the Forum room. 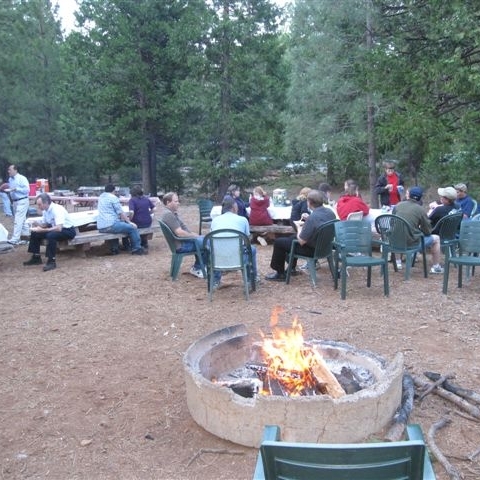 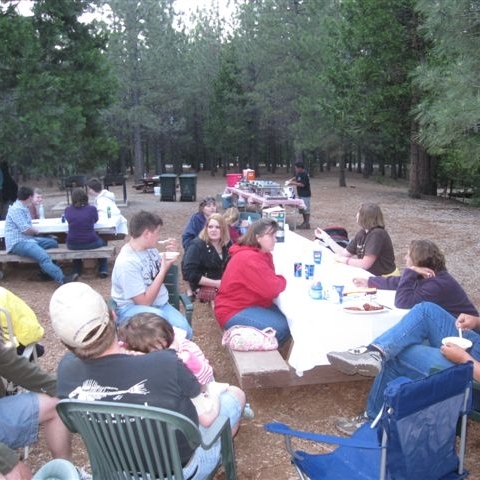 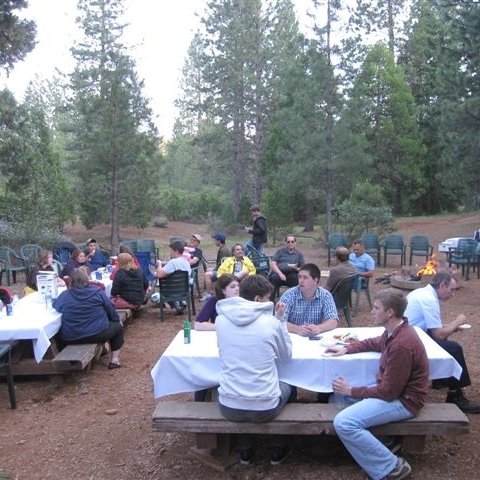 Networking and social event at the Lake Siskiyou campground. 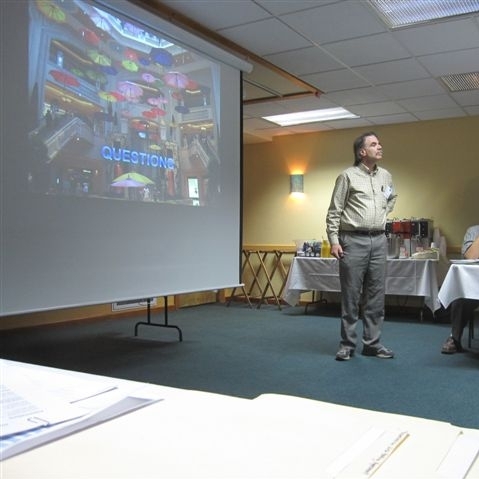 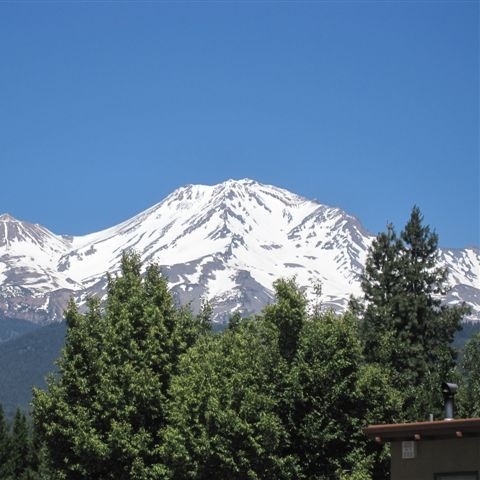 Mount Shasta Resort is located in rural northern California in Caltrans District 2 and provides an appropriate setting for in-depth dialogue about rural ITS system design and implementation.